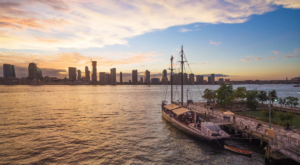 In most communities around our state, you can find local public pools that you can gain access to for a small fee by being a resident. 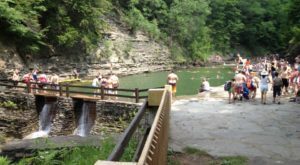 Coming in handy for those of us who don’t have our own pools in the backyard, there’s one swimming spot that’s open to the public in Upstate New York that has quite an extraordinary history. 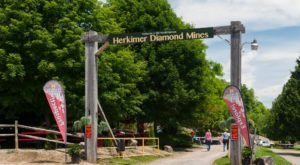 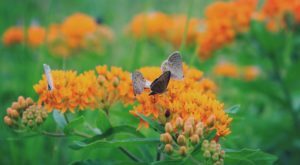 Located in one of our most visited state parks, keep reading to learn something new about one of our favorite places to cool off in Saratoga. 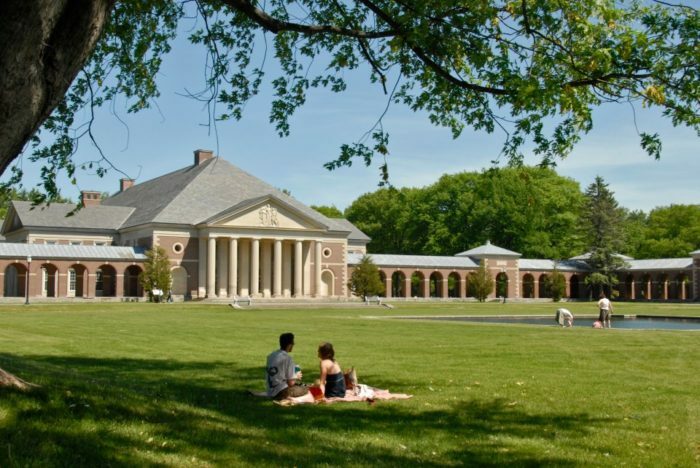 Seeing over 3 million visitors annually, Saratoga Spa State Park is known for its vast array of attractions and natural beauty that's all compacted into this one park. 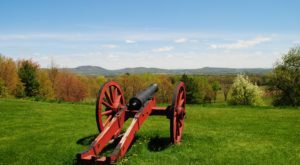 Between the performing arts center, museums, mineral springs, geyser, playgrounds, and picnic areas, there are so many different ways to keep busy during the summer in Saratoga Spa State Park. 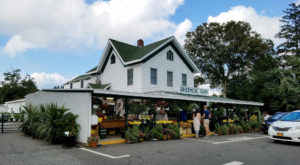 But if you head over near the park's tennis courts, nestled up against the outskirts of the golf course you'll find historic arched promenades surrounding America's very first heated pool. 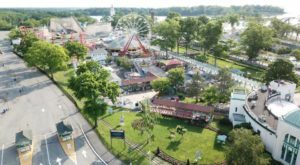 Open for the season until September 3rd, many people who cool off in Victoria Pool don't even realize how historic this refreshing destination is! 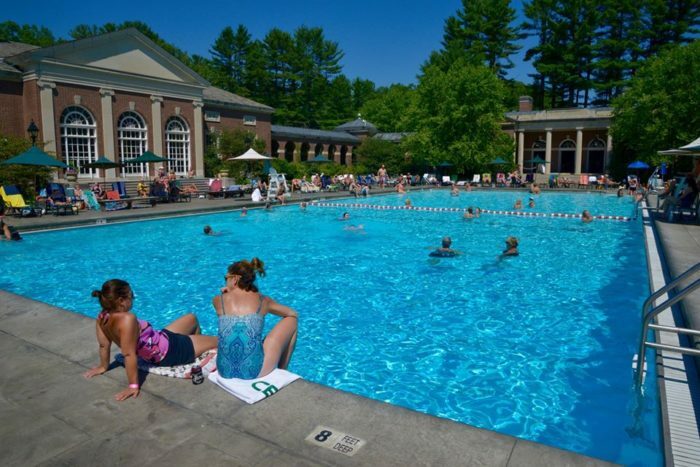 Built in the early 1930s, generations of Upstate New Yorkers and residents of Saratoga Springs have long been enjoying Victoria Pool. 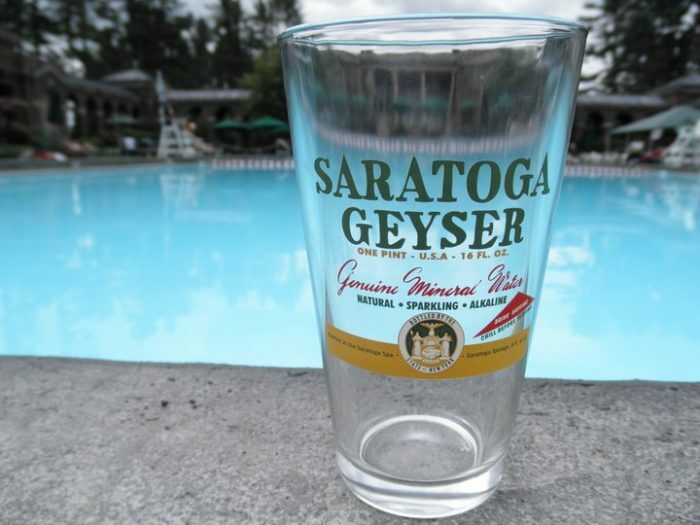 Around the pool, you'll find areas where you can buy Saratoga merchandise, snacks, and beverages while you're here. 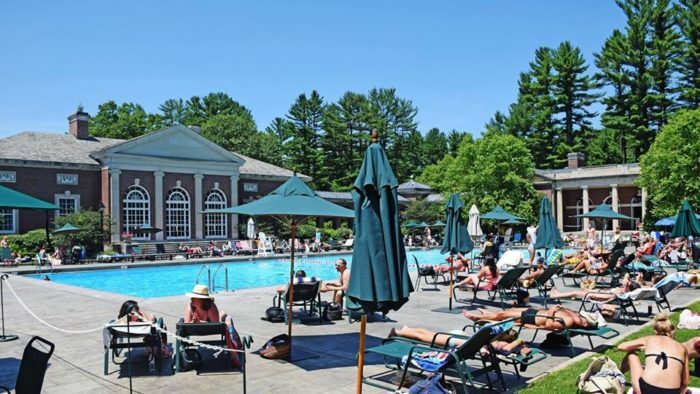 A great place for everyone to cool off if you're visiting the area anytime soon, this is one part of Saratoga Spa State Park that you'll be glad you knew about. 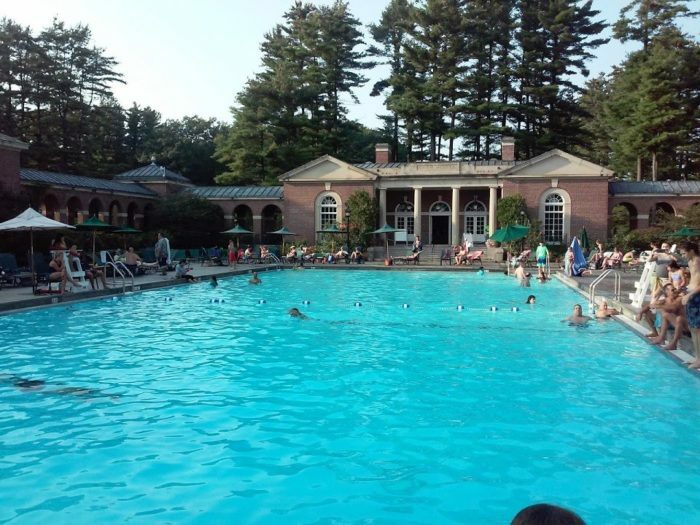 Now open daily from 10 a.m. to 6 p.m., Victoria Pool is just one of many pieces of evidence that prove Saratoga Spa State Park is worth visiting this summer. 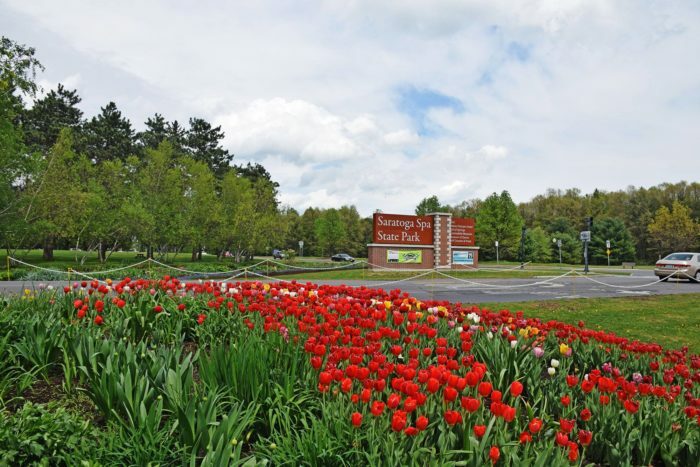 At Victoria Pool, visitors of the park will find restrooms and locker rooms nearby and available for use. 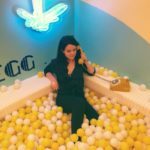 For adults, it costs a total of $8 dollars to swim at Victoria Pool, while it costs only $4 dollars for children between the ages of 5 and 11. 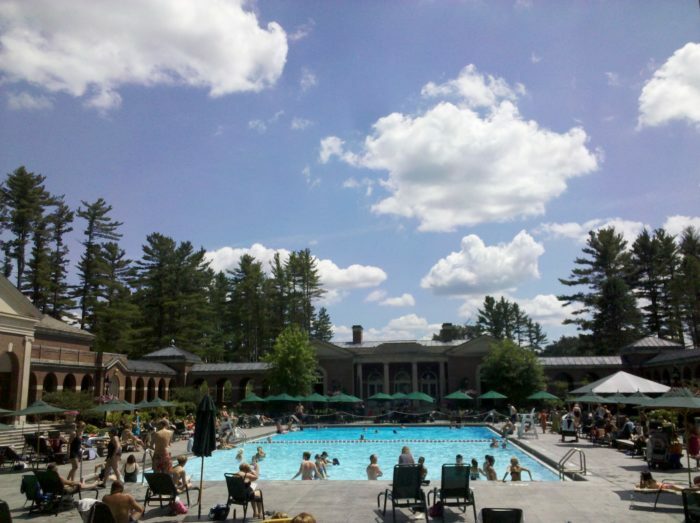 To find out more about Victoria Pool and Saratoga Spa State Park, click here. 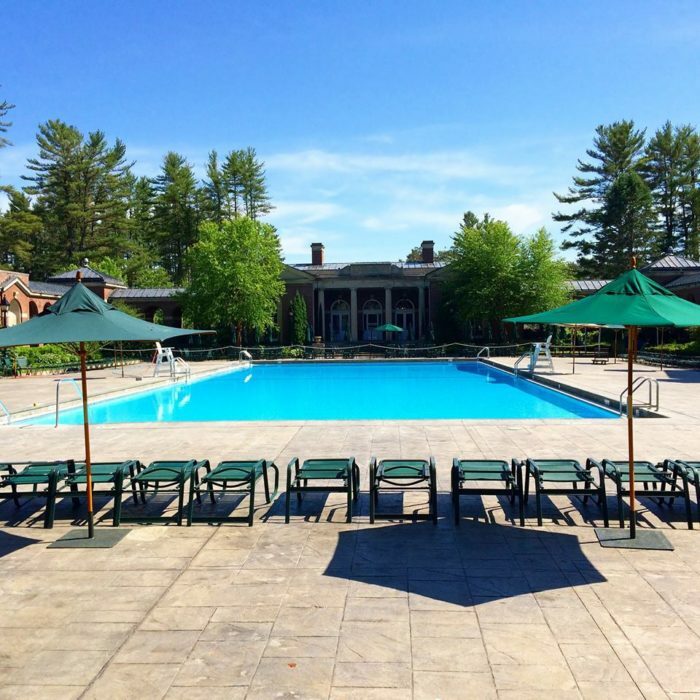 Did you know that the Victoria Pool was America’s first heated pool? 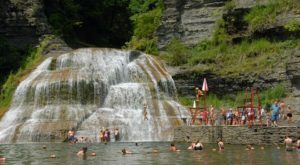 For more unique swimming spots, read about The Natural Swimming Hole In New York Will Take You Back To The Good Ole Days!